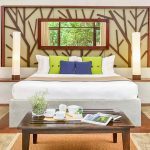 This luxury beach resort simply known as Jungle Beach, has artfully incorporated existing trees and natural plant life into the hotel’s design, making you feel like you’re in a luxurious tree house. Three choices of rooms are available, facing the beach, the lagoon or the jungle. 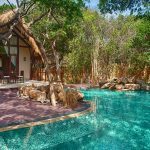 Located close to Trincomalee, this ocean beach resort is one that offers a blend of luxury and exciting adventure activities, as well as sightseeing opportunities that provide a glimpse into the area’s unique cultural landscape. For exploring the other noteworthy attractions close to Trincomalee, hotels like ours offer the perfect base in the East Coast. This Trincomalee hotel has 48 luxurious villas of modern design. Yet, crafted from indigenous materials as to appear borne of the jungle and, fused in harmony with the natural surroundings; all offering views of the thin jungle stretch and the beach beyond it. 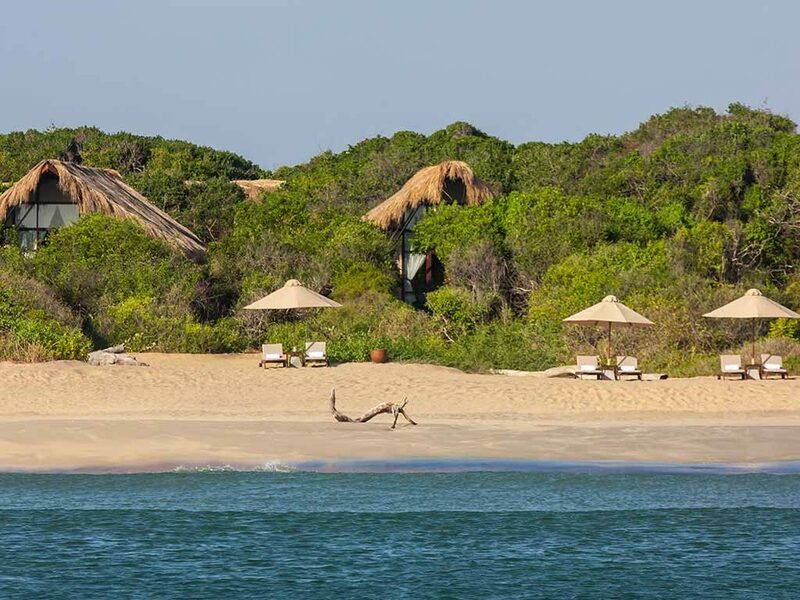 Each villa tucked deeply within luscious foliage, offers utmost privacy and seclusion. Spacious 650 square feet villas, each one luxuriously appointed with king sized beds, high-end entertainment systems, private decks and outdoor rain showers (excluding Lagoon Villas). Set amidst a secluded sanctuary we call home, Jungle Beach offers the perfect escape in which to enjoy some personal pampering. This spa hotel in Sri Lanka has its own luxurious spa where you can get away from it all and indulge in a truly unique wellness retreat. On one side the soft call of the ocean and on the other, the tranquillity of the jungle; the ideal atmosphere in which to experience the ancient healing powers of Ayurvedha or rejuvenating beauty treatments that are more than skin deep. This boutique hotel in Sri Lanka also offers a Spa, Gym and an open-air restaurant with many elegant signature-dining options on open decks on the beach and in the trees. Located near the main swimming pool with glimpses of the ocean, the restaurant seats 70 guests and is open from 7.00am to 10.00pm, serving International and Sri Lankan favorites. Complimentary Wi-Fi connectivity in your rooms and throughout the property, a fully equipped fitness centre to work off the calories, and a friendly team of ‘associates’ who are on call 24 hours a day will enhance your holiday experience.